Our Company Offsite Secure residential paper shredding service is an ideal solution for organizations that need ongoing, verified destruction of sensitive paper documents. This cost-effective service incorporates proven standard operating procedures that ensure secure and reliable service while saving area residents up to 65% over the other big company. Off-Site shredding allows us to collect your material in a safe manner and shred at our local plant. Unlike the shredders in the truck, our industrial shredders offer us great savings by shredding tons of paper in a fraction of the time that the truck will take shredding the documents at your facility. We pass the savings to you. The process of loading and shredding your personal documents undergoes regular audits to ensure full compliance with HIPAA and to ensure that the process is 100% secure. By choosing our company, you’re partnering with a company that follows destruction industry best practices. We handle all personal and residential documents with a consistent Chain-of-Custody, resulting in a tightly controlled, documented process that will meet all your security standards. Secure destruction of business documents and records that us HIPAA compliant. Reliable and consistent service delivered by screened, well-trained and highly motivated employees. Accountability with a Free Certificate Of Destruction. Secure, environmentally friendly disposition of shredded paper. Affordable Flat rates as low as 89 Cents / Lbs. Every step is designed and executed with security in mind. We ensure the protection of your information from the time of collection at your location, through secure transport, container handling, and final disposition. Our fleet of trucks undergoes routine audits. Our Employees are screened on a regular basis and are subject to Cori background check annually. All collected material is processed in accordance with our company standards and destroyed to an unrecoverable state. After materials are thoroughly shredded, the paper is recycled 100%. For all materials processed in accordance with our Secure Shredding workflow, we provide a Notarized certificate of destruction. 7 days a week shredding service. Low Flat Rates starting 89¢ / Lbs. 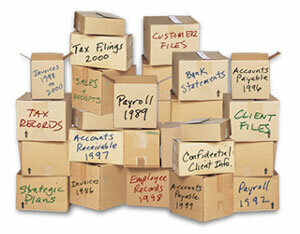 Are Your Ready To Save Money On Your Next Shredding Job? My school has mountains of old documents that needed to be shredded because of student private information listed on them. We were doing renovation and could not find a decent shredder or a company to help us with the deadline. Shredit wanted three weeks to schedule, Iron Mountain was looking for thousands of dollars to do the shredding. Luckily my boss’s wife knew Neighborhood Parcel and a quick call to George had us sold! The shredding truck came in the following day and cleaned out our office. The crew was super friendly and the price was fair. I am giving 5 stars review to this great local company for their help and cooperation. I was cleaning my house to get it ready for the market, I discovered a large volume of old documents that I did not want to throw away. They had my name and address on them and my personal shredder was useless. It overheated quickly and jams at 5 or 6 pages even when it was rated to handle 16 pages at a time. I saw Neighborhood Parcel in my neighborhood and followed the driver to next stop. He explained the shredding service options I had and he came back the following week to help with the lean up. What I loved best was the friendly service and the fast response time I received. My school has mountains of documents that needed to be shredded because of student private information listed on them. We were doing renovation and could not find a decent shredder or a company to help us with the deadline. Shredit wanted three weeks to schedule, Iron Mountain was looking for thousands of dollars to do the shredding. Luckily my boss’s wife knew Neighborhood Parcel and a quick call to George had us sold! The truck came in the following day and cleaned out our office. The crew was super friendly and the price was fair. 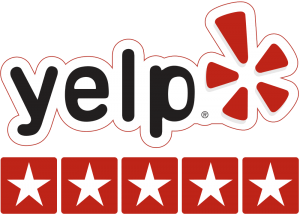 I am giving 5 stars review to this great local company for their help and cooperation.